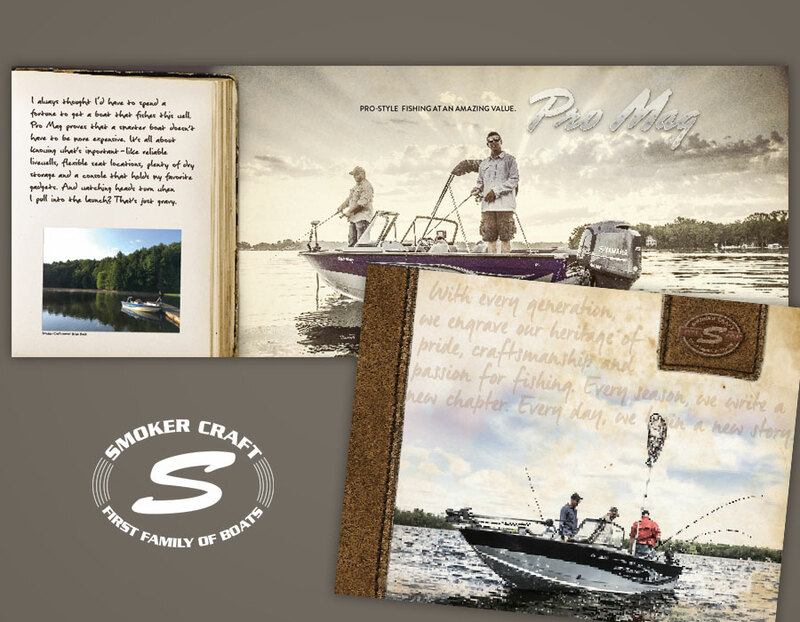 While summer boat season may seem like a distant dream (or cruel trick) right now, it’s right around the corner for our friends at the Smoker Craft family of boat brands. Indeed, ‘tis the season for those thinking about purchasing a new boat – be it fishing, pontoon, water sports. ‘Tis the season, then, for us to help Smoker Craft make the decision easy. 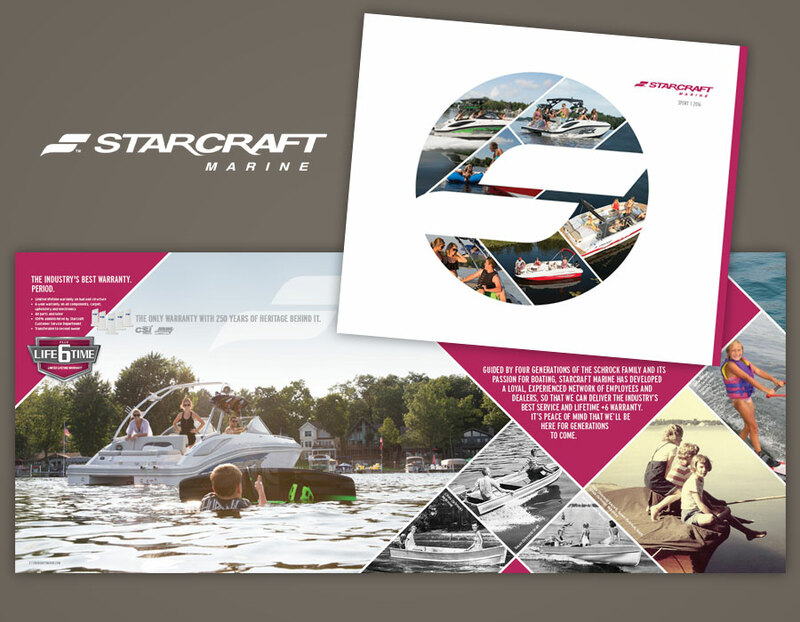 We’ve been working hard the past several months to produce high-quality, beautiful brochures for each brand within the Smoker Craft family of boat brands. With each one, we faced a similar challenge – balancing the uniqueness of each brand while carrying through the overall value that comes with being a part of the Smoker Craft family of brands. 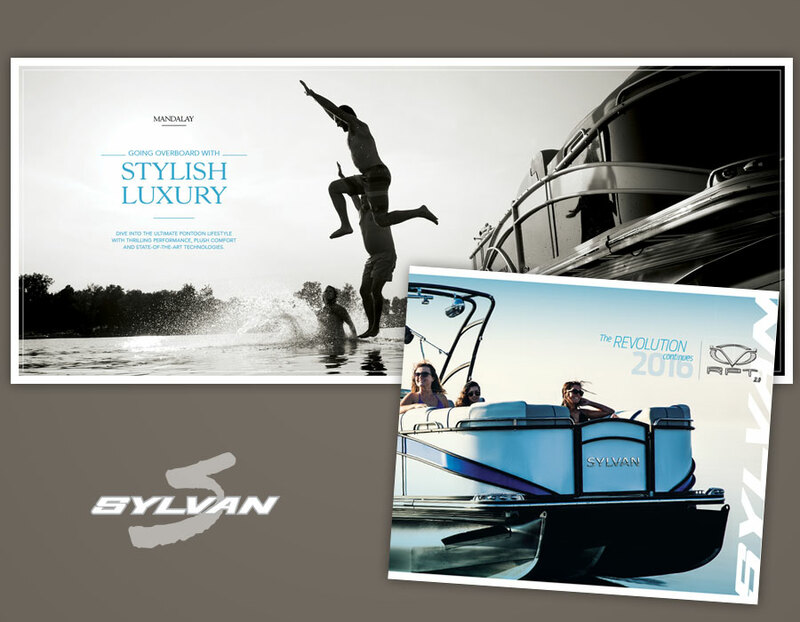 The books are now done – and are already getting potential buyers pumped about boating season and warmer months. After all, when you have the right co-captain on your marketing journey, it’s sure to be smooth sailing. 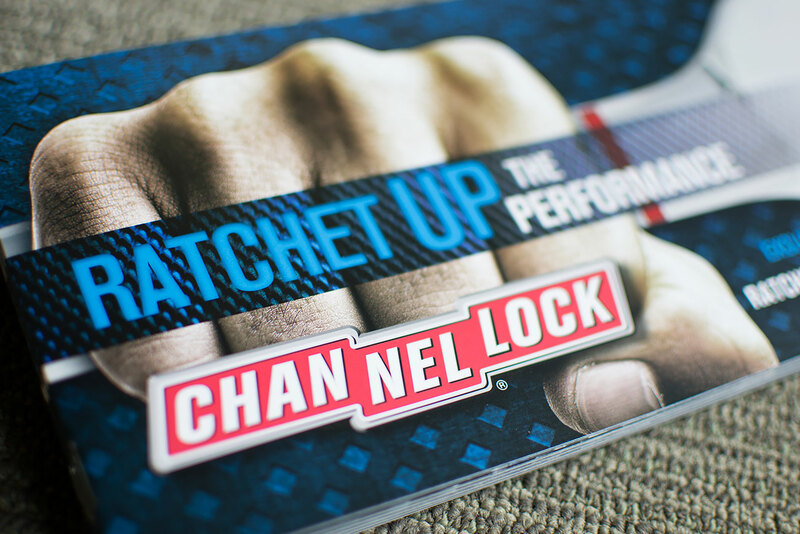 Channellock and Do it Best are both iconic American brands in their own right, and a recent exclusive partnership between the two has produced a family of exciting new products. When Do it Best Corp. wanted to launch a new Channellock-branded line of products, we helped them get a grip on the situation. Specifically, Do it Best Corp. was preparing to launch a new line of Channellock-branded ratchets, sockets and wrenches at its semi-annual buying market this past October. You only get one chance to make a first impression, as the saying goes, so this launch was particularly important in driving excitement and interest among the co-op’s members to carry the new line in their locations around the world. 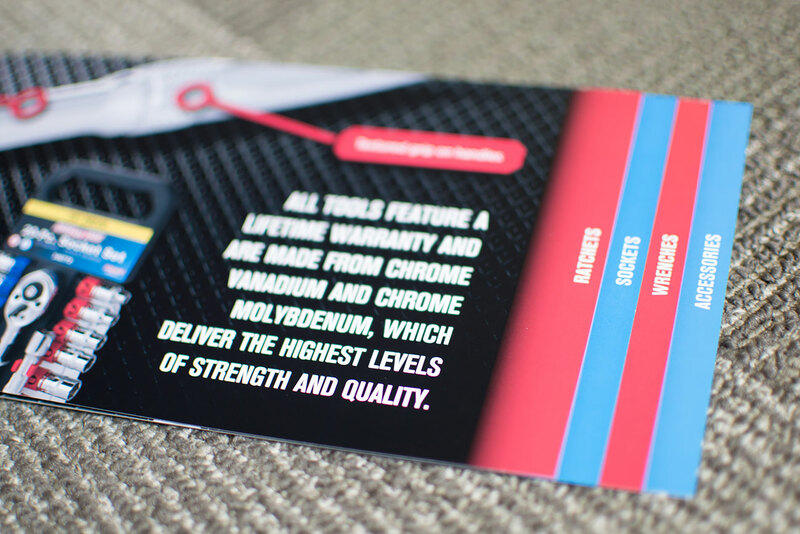 To explain and introduce the new line, we developed an informative, appealing new brochure, as well as high-visibility signage and promotional materials for the market floor. 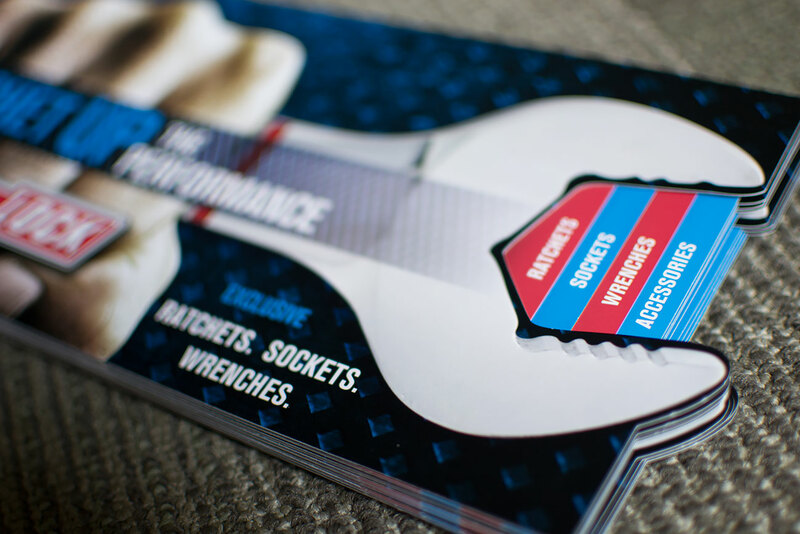 Each piece carried over the famous Channellock brand while explaining all of the new products available in the lineup, as well as their high quality and consumer appeal. With the new marketing materials playing a key role in the overall launch of the product line, the results to date have exceeded the co-op’s already lofty goals – with strong initial and ongoing member orders. It’s a rare occasion – and an honor – when you get to pair two great brands and help independent retailers across the country ratchet up their performance. 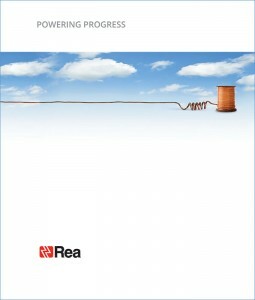 Rea Magnet Wire occupies a unique and challenging space for a brand. As an unquestioned leader in its market – many, many people know the name, but a lot less know what exactly it is they do – or, for that matter, everywhere they do it. Recently, the team at Rea found itself with this unique challenge, wanting to clearly communicate the full scale and scope of its global reach to leaders at its core customers around the world. And, naturally, it wanted to do so in a concise and beautifully designed package can be even harder. Our new corporate positioning for Rea serves as a transparent, comprehensive corporate report to these key stakeholders while telling the full story – the past, present and, most importantly, the future. This positioning offers insight into their current initiatives, their plans for the future of their business and the various ways they are working to be the best choice as a business partner for existing and prospective customers. It also provides a transparent view into Rea’s unique company culture, evidencing teamwork and trust as their core values. Rea’s goal with their corporate positioning was to reinforce its position as a company key stakeholders can trust, with in-demand products, that also aligns with their personal values. Rea Magnet Wire wanted to ground their status as all of these, and strengthen their relationship with customers in the process. 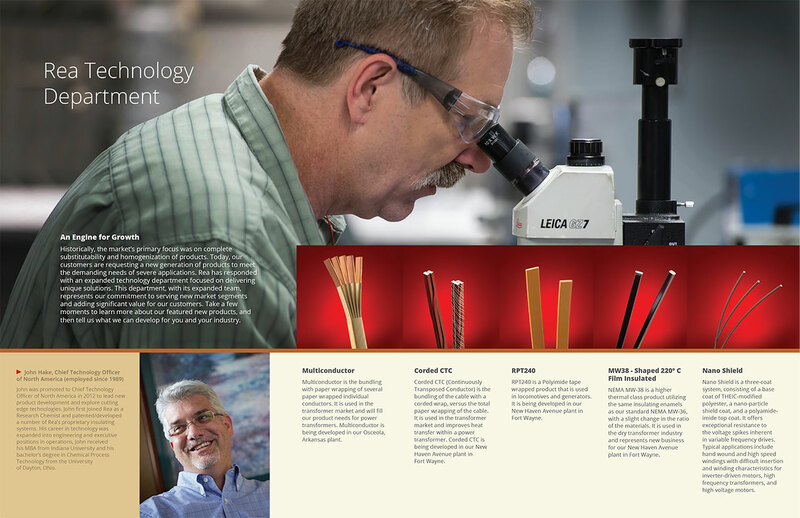 From the Magnet Wire Capital of the World (that’s Fort Wayne, by the way), we’re proud to partner with one of the industry’s great brands to tell their story. For more than 50 years, IPFW has established itself as a local icon and global institution. Over the past year, we’ve been happy to help them explain what is it that makes them different. 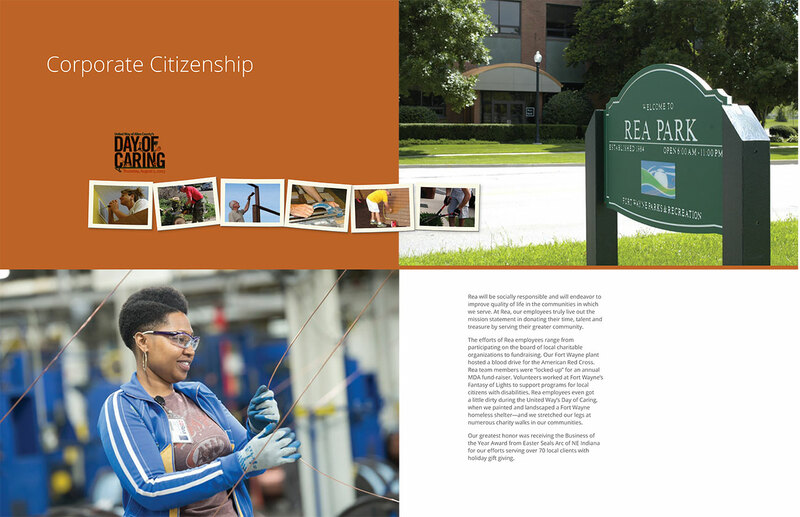 Working closely with IPFW, we helped create the Don Difference Series to share highlights of the countless research, scholarly, and creative endeavors on campus. These vignettes showcase the university’s commitment to excellence in higher education and integration of campus and community. The vignettes offer a first-hand glimpse into the social, cultural, and scientific innovations happening right here in Fort Wayne. That’s the Don Difference – and that’s the story we’ve helped them tell. We talk a lot about social media, content strategy and digital marketing ‘round these parts. And for good reason, of course; an active and engaging social presence, backed by a high-quality website, provide your audience a high-profile destination befitting of a leading brand like yours. This very important aspect of your overall marketing shouldn’t exist in a vacuum, however. After all, what good is a great destination if no one knows it exists – or how to find it? In the marketing world, we call it having a healthy balance of “push and pull“. The “pull” comes from your destinations – those platforms you manage (website, social channels, etc.) The “push” is how you proactively connect with your audience, promote your pull presence and, ultimately, drive them there. Email marketing. An incredible, outstanding example of which you’re reading right now! Odds are, you have an impressive database of email addresses for current customers, prior customers, vendors, suppliers, etc. Email marketing – developing and delivering an informative/education email on a regular basis (weekly, monthly, etc.) – is a great way to both demonstrate your company’s industry expertise and to drive them toward your social/digital presence. Email marketing. Wait, what? Didn’t we just cover this? We did, but there’s also an easier way to use email to drive awareness of your social and digital presence – include it in your email signature. While, at first thought, it may not have the same impact as the email marketing discussed above, consider the cumulative effect of everyone in your organization including links to your social presence in their email signatures – and then how many emails you send on a daily basis. That can drive a lot of awareness. Everything else. Do a deep, comprehensive audit of all the many different touchpoints you have with your current and prospective customers – business cards, print ads, signage, product packaging, on-hold messaging, etc. How and where can you drive awareness of your social/digital presence on any or all of them simply by adding links and/or logos? From your own email marketing strategy to simple email signatures, there are a number of effective ways you can drive awareness of your social presence to your key audiences and pull them in. All it takes is a little push to get started.